I am an Illustrator, and that is what I am. I began this Visual Communication course in 2011, going in blind as to what it was going to be like. Since I was young I knew what I wanted to do and who I wanted to be. I want to be an illustrator for Disney, and that dream will never change. These years at Newcastle University have opened endless possibilities for me and expanded my skills in ways I couldn’t have imagined. All I want out of life is to do what I love. I don’t care if I become a millionaire, or a poor unnamed artist, all I want is to make people happy with my Illustrations in a way that Disney and all my other childhood hero’s have done for me. “Love Me Tonight” is a digital illustration. This project is a single illustration poster piece that expresses my love for illustration and the beauty of romance. Love and desire are exciting and passionate things to capture, and I admire the desperate idea that love presents. Love was my inspiration. 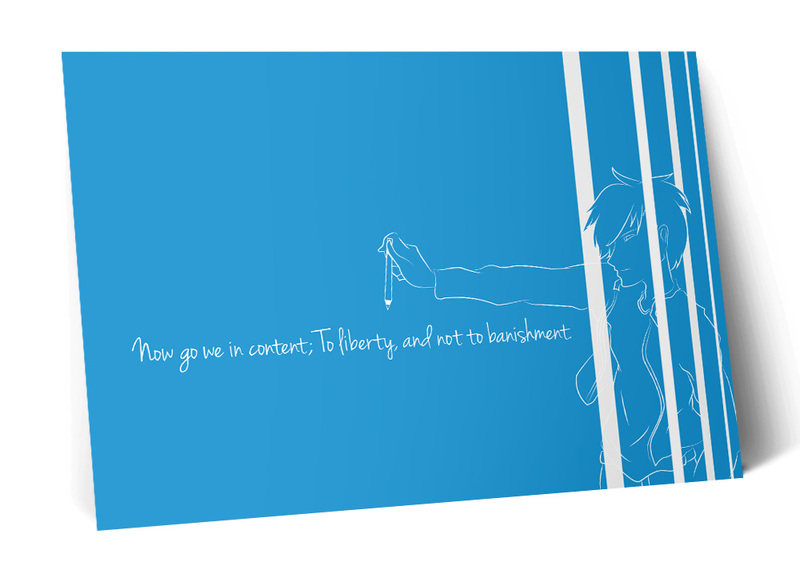 “Free From Banishment” is a flat digital illustration. The concept behind the design was to express my passion for illustration, using purely lines, in a very simplistic layout. The Shakespeare quote made me think of my own personal feelings about leaving university. 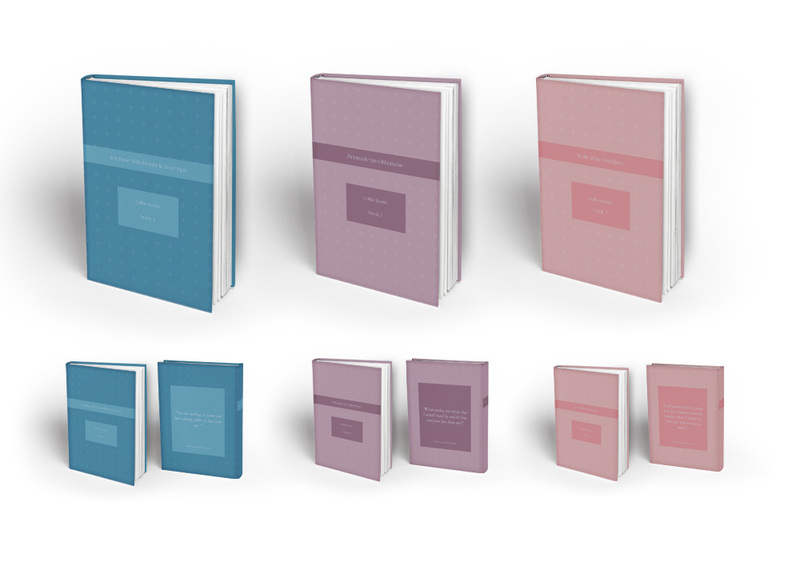 “To Be Wise and Love” book series was a little design project I created. The design is heavily prompted by the Jane Austin imagery of love and romance. Being a book lover, I wanted to have a go at designing a three book series, also showing my love affair with 18th/19th century literature. 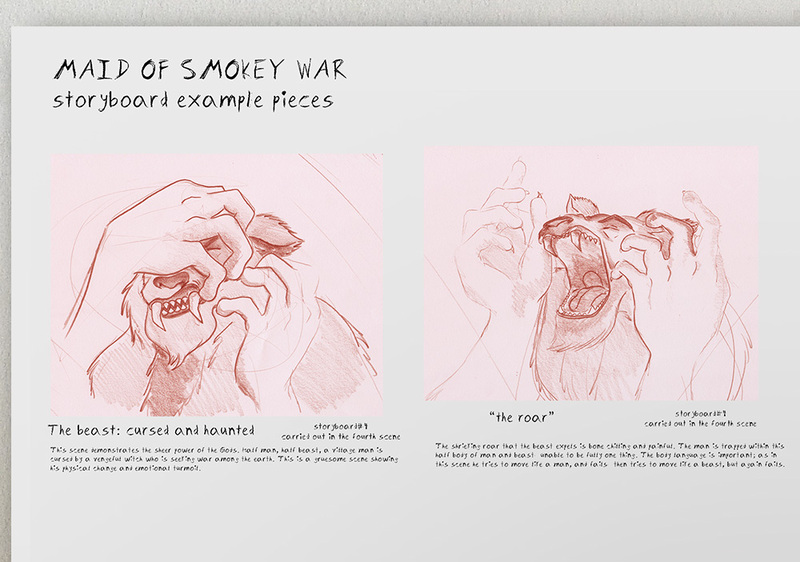 “Maid of Smokey War” is a progression idea of an animated feature film surrounding Greek mythology and the Greek Gods. I have created snippets of a character development of Athena, the Goddess of war, and two shot storyboard illustrations of an early scene. “Christine” is a pencil illustration that is based on the popular Phantom of the Opera character ‘Christine Daae’. 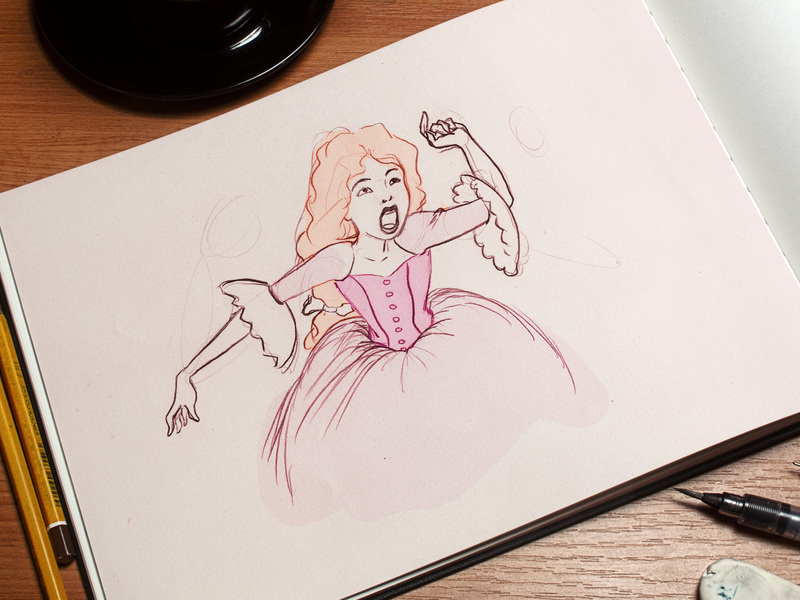 The drawing inhabits my own personal style of illustration and expresses my love for the play.